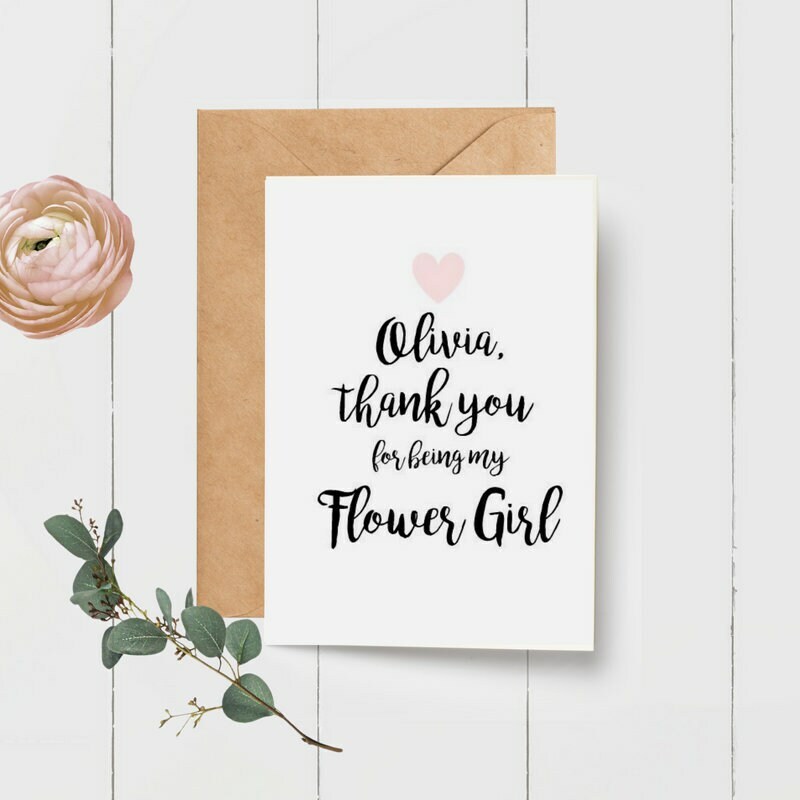 The front of the card says Thank you for being my Flower Girl in a whimsical script and is has a blush pink heart. Inside of the card is blank. 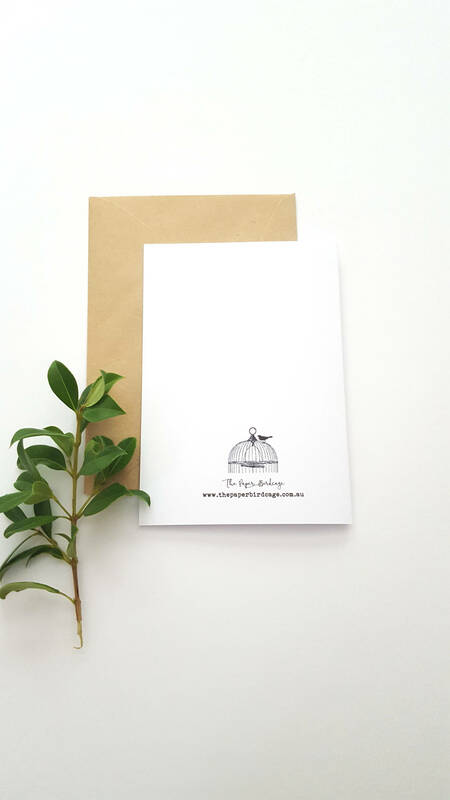 My design is printed on a high quality 300gsm white card and comes with a brown recycled envelope. The card is 10.5 x 15cm. Items are shipped with care in clear bags for protection. 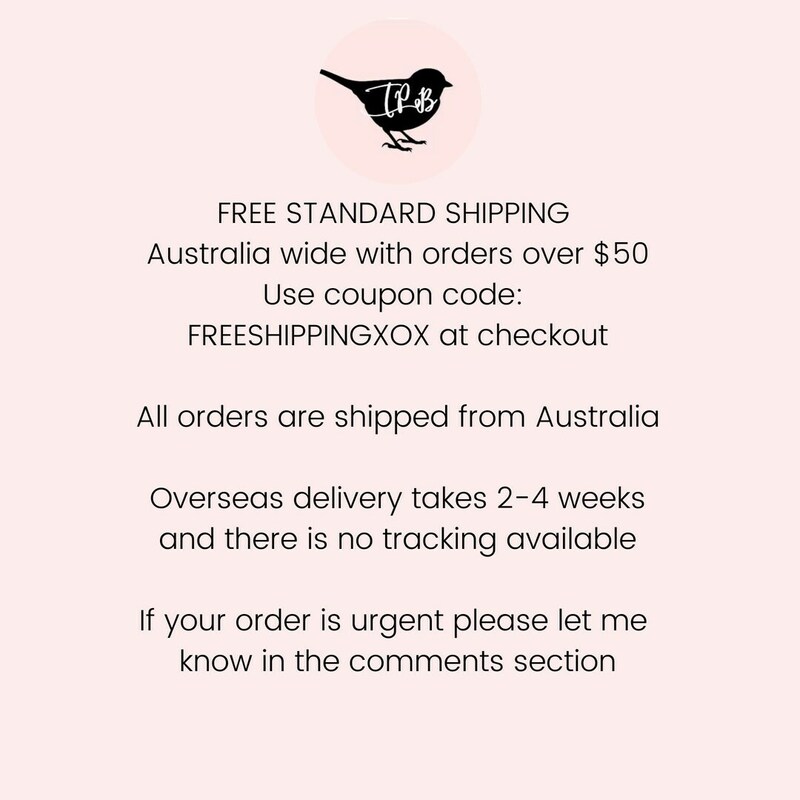 PLEASE NOTE - All items are sent STANDARD Australia post. These cards are beautiful, the font and design looks great. Excellent quality. 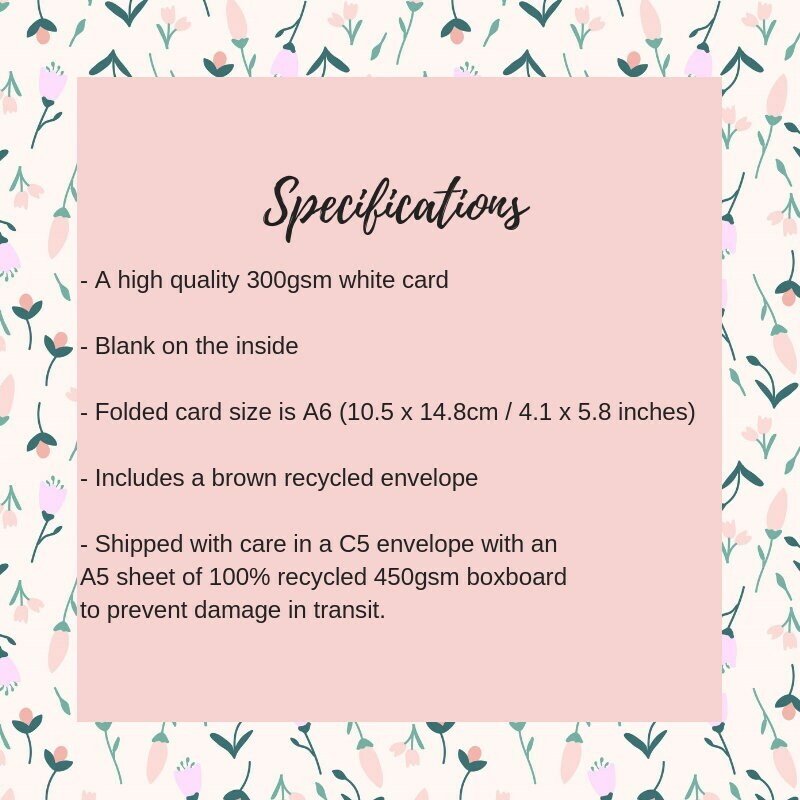 Good quality card, shipped quickly.